Trends change fast, and it’s not always easy to know how to adapt them for our unique (and beautiful!) body shapes. We believe that fashion is about feeling great in the looks we love and feeling great in who we are. But, you could say that we follow guidelines, not rules. So we created this handy guide to help you learn how to dress your body shape and play up your most favorite features with styles you have (or should have) in your closet. 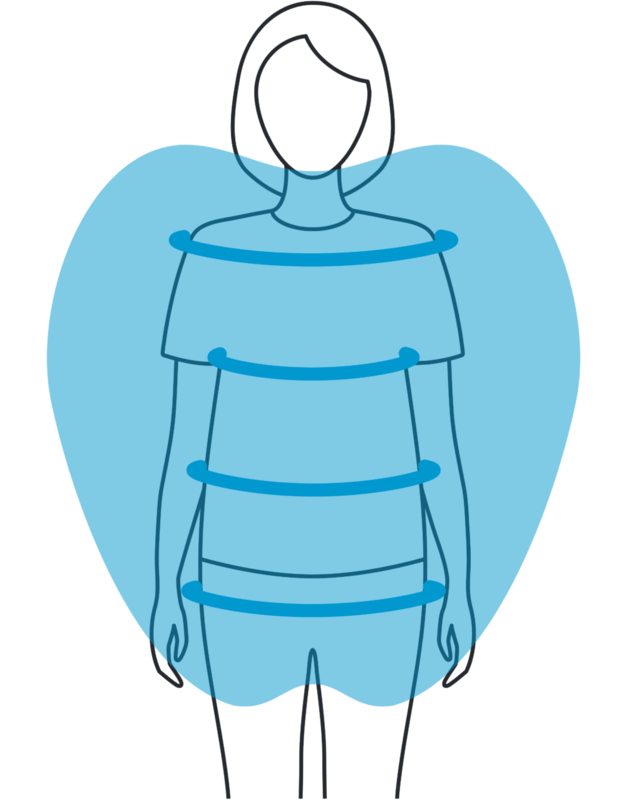 But first things first, do you know your body shape? 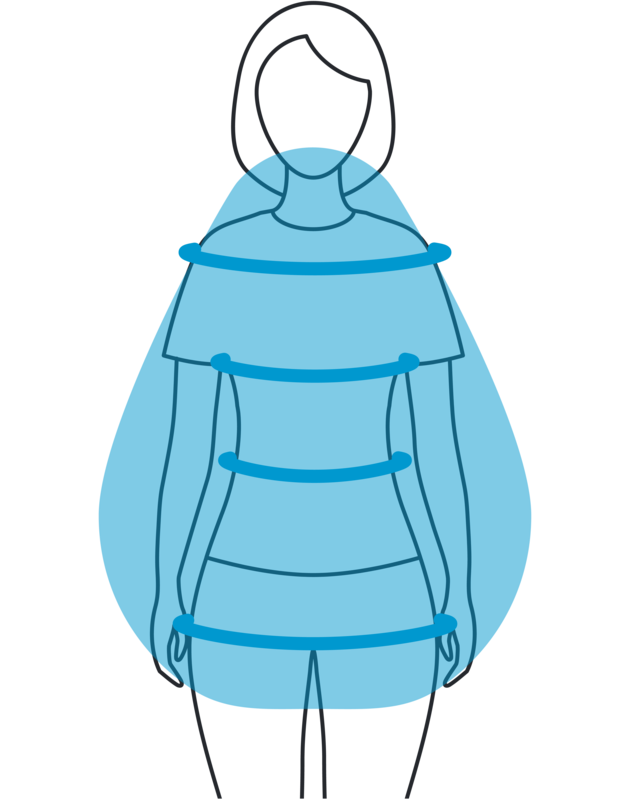 But wait, are you wondering what your body shape even is? Grab a tape measure! We designed this nifty calculator to help you get started. 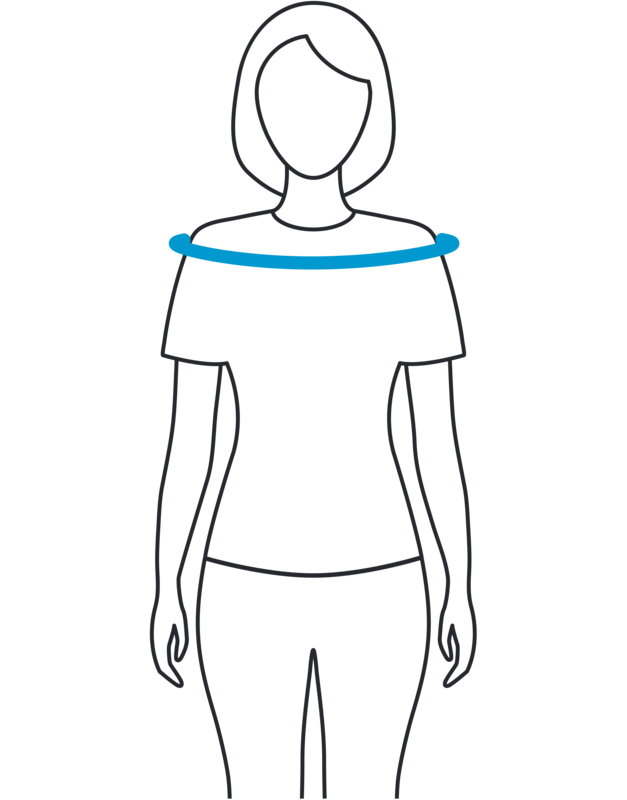 To measure your shoulders, wrap a tape measure around the width of your shoulder, just under the edges—like where an off-the-shoulder top would sit! Then, wrap the tape measure over the fullest part of your bust. Not under, not over—the fullest part! 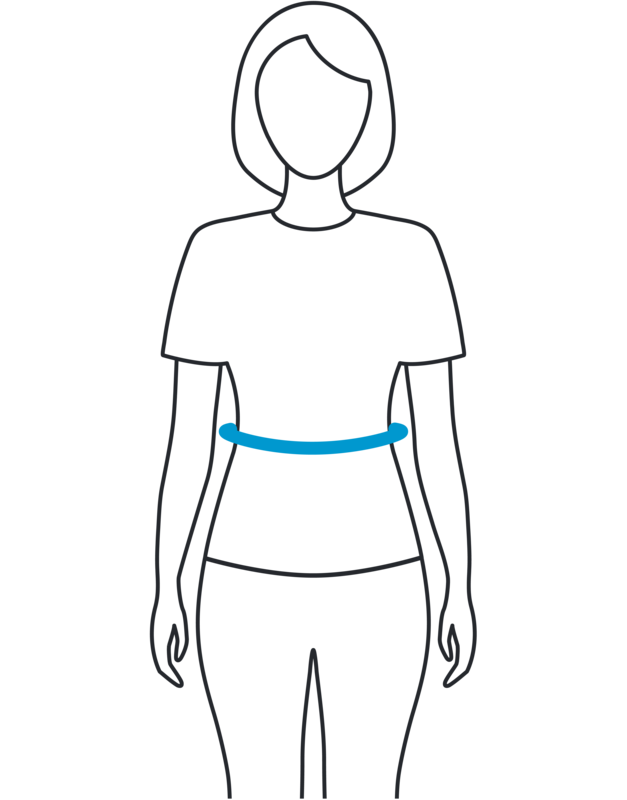 Next, wrap your tape measure around the narrowest part of your waist or just above your belly button. 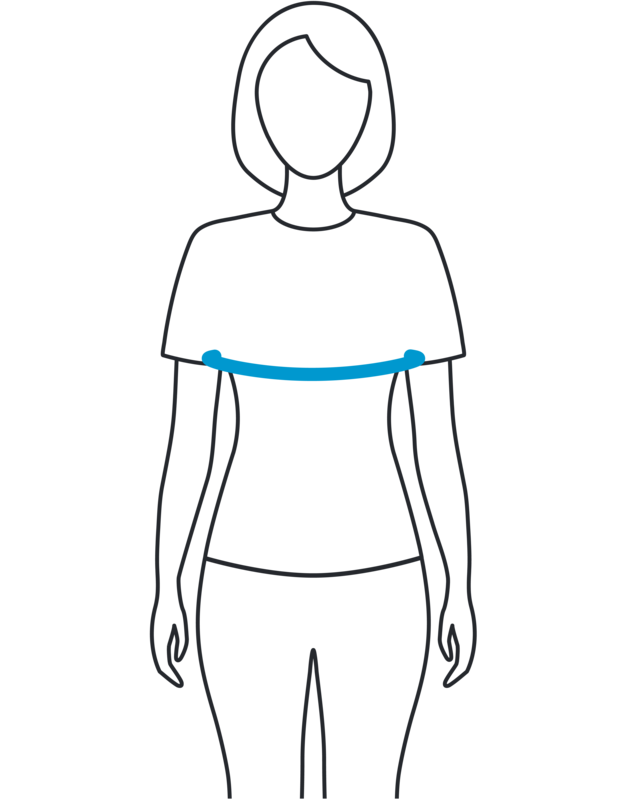 Finally, wrap the tape measure around the fullest part of your hips, just above your hip bone. Have you ever described your shape as “curvy”? 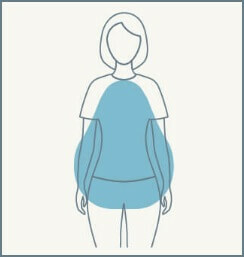 Then, you might be an hourglass shape, with the waist being the narrowest part of your frame. You typically have a fuller bust and hips. See how to style your shape! 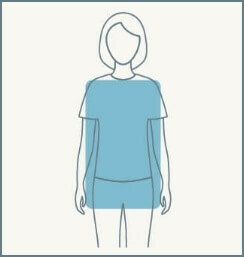 Otherwise known as a “triangle” shape, your hips tend to be broader than your shoulders. 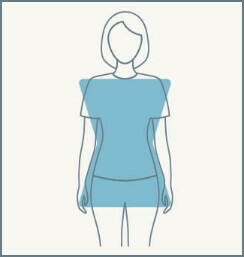 Often also referred to as an “inverted triangle” shape, your hips tend to be narrower than your shoulders. 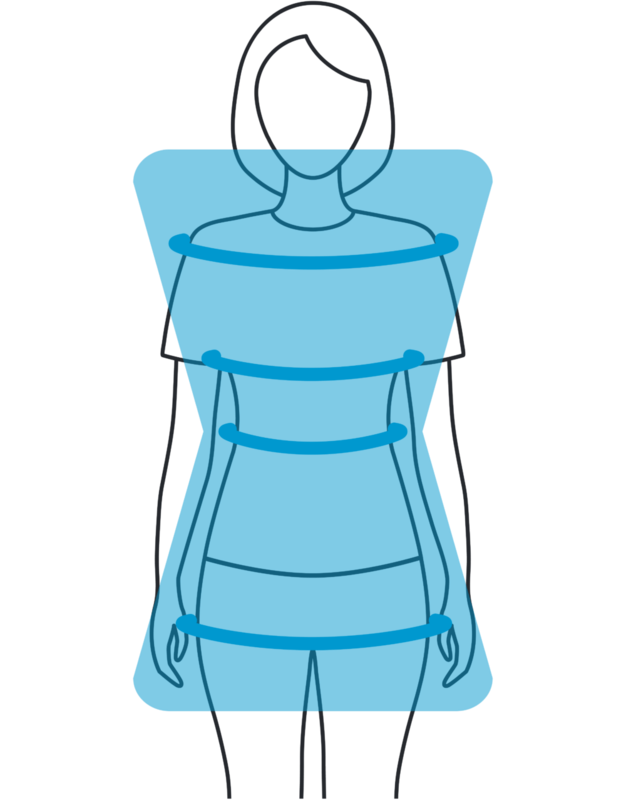 Also commonly referred to as a “rectangular” or “straight” shape, you’re not particularly curvy— your shoulders and hips tend to be the same proportion. Don’t fret—just because our calculator couldn’t assign you to a shape, you still have one! 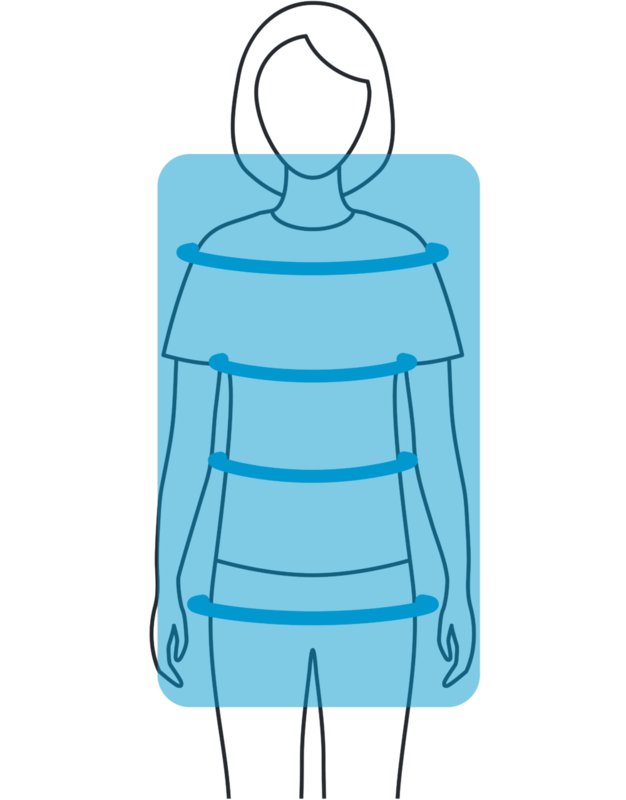 Read through the other body shapes below and select one that you think fits your shape best. Or think of stying yourself in terms of showing off your favorite features. Want advice, head to Ask A Stylist to get their expert tips! 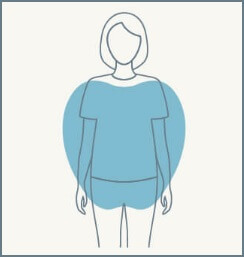 Now, read on for more tips for styling your shape! aka a rectangle or straight shape. Keep reading for more advice on dressing your body type! 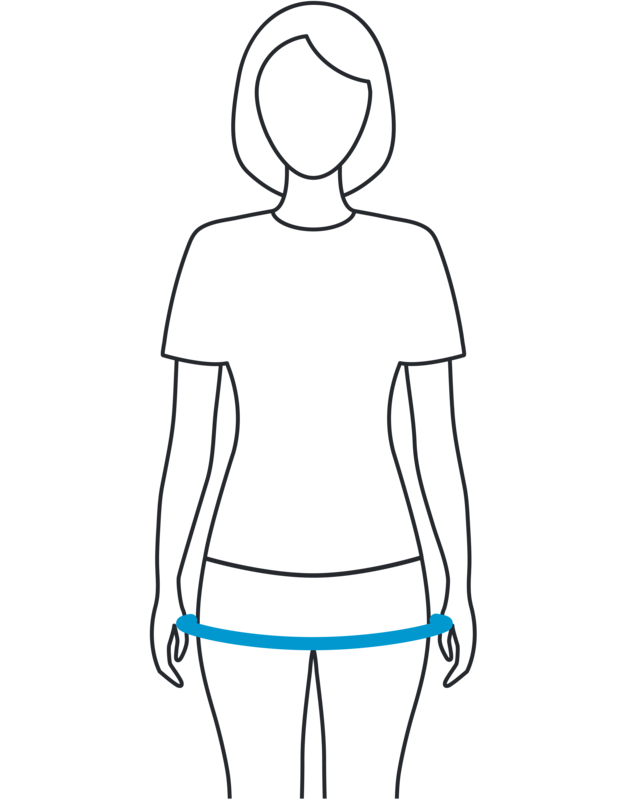 How Do I Define My Waistline? 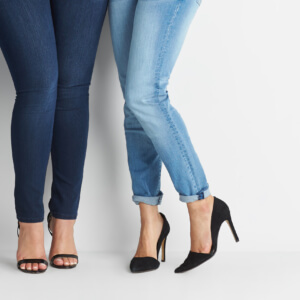 What Are the Best Jeans for Curvy Ladies? How Do I Style A Long Torso & Short Legs? What are the best jeans for an hourglass figure? Everybody and every body is different. If you’re not one of these shapes—that’s ok! These dressing guidelines are best used as a starting point to understand the basics. And, let’s be honest—most women are a combination of several! It’s all about mixing & matching until you find what’s best for you. And, we believe the best place to really get the lowdown on how to dress your body is from real women—just like you. 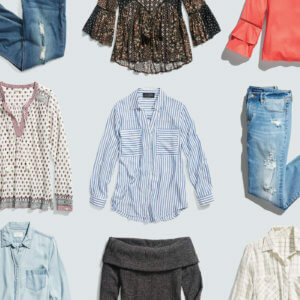 From dishing on how to find the best jeans for petite, to understanding how to dress your curves—hear from all shapes & sizes in our series: My Body, My Style.